While a lot of fuss is made over Kate Middleton’s bouncy hair and seemingly endless stream of finely made outerwear, not everyone agrees that she’s a style icon. And among that “not everyone” is author Margaret Atwood. “I think she dresses quite uneventfully,” Atwood said at the Victoria and Albert Museum during a Fashion and Fiction panel. 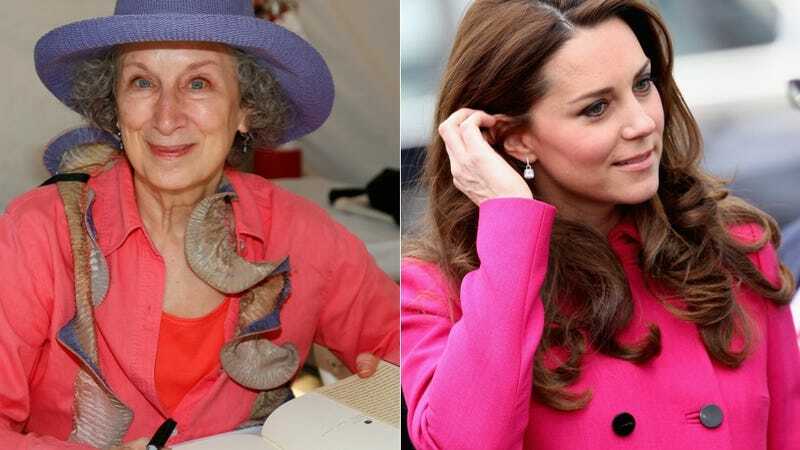 Daaaaaang, Atwood flew all the way from Canada to England to call the Duchess of Cambridge baaaaaasic! POINT: CANADA. Not too old to be right.